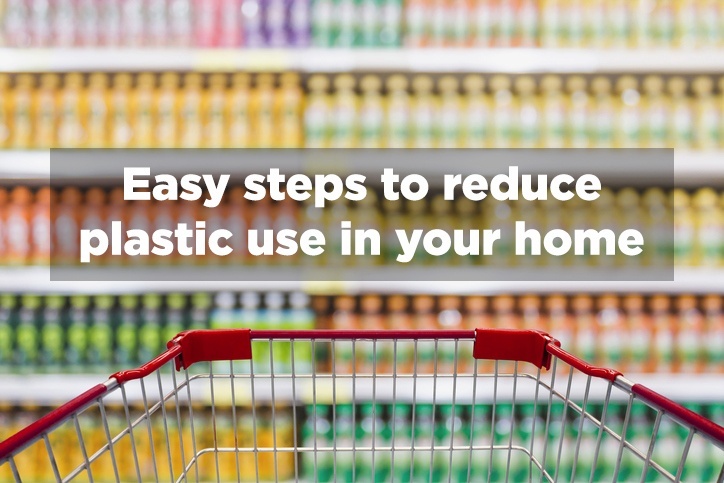 Want to make your home less plastic and more environmentally fantastic? If like us you've ditched plastic carrier bags and straws and are phasing out the plastic water bottles for metal ones, then good for you. Here are some other *easy* things you can do to make a difference? Start by looking at your weekly shop. By making small changes that will have very little impact on our day to day lives we can make a big difference to the environment. Go back to the good ol’ days. Remember when everyone would get their milk from the friendly neighbourhood milkman? If we all did that now we could significantly reduce the amount of plastic milk cartons being produced. The Milk and More campaign (www.milkandmore.co.uk) launched by national dairy chain Dairy Crest aims to encourage people to be more sustainable by offering a drop-off service for a range of household goods, including milk and fruit juice, which come in reusable glass bottles, and vegetable and fruit boxes delivered in crates. Cut down on cling film by opting for beeswax food covering and wrap instead. It’s more expensive (at around £14 for three wraps) but it last years so in the long term you’re bound to make up the cost. Plus who doesn’t want to feel like a organic deli-visiting trendie, unwrapping your pretty paper wrapped cheeses and bowls of last night’s leftovers?